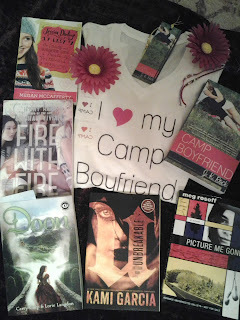 I am so glad to be part of the Camp Boyfriend blog tour! 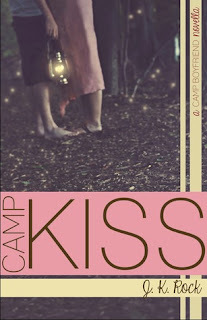 I will share my review with you today and tell you more about Camp Kiss and Camp Boyfriend. And there is a giveaway! And there is a free prequel to Camp Boyfriend, namely Camp Kiss! Lauren Carlson, a fourteen-year-old expert on the cosmos, superheroes, and science fiction trivia has a crush on her longtime camp friend, Seth. Last summer she’d dreamed about upgrading their relationship to BF/GF status and this year she has a plan… if only her well-meaning cabin mates wouldn’t interfere before she’s ready. She hasn’t even adjusted to her new braces yet, let alone imagined kissing Seth with them. When a dare pushes her out of her comfort zone, will she and Seth rocket out of the friendzone at last? There’s only one way to find out…. When I started this short story I didn’t expect to enjoy it as much as I did. This is such a cute and enjoyable story. And even though it isn’t a full lenght book, it isn’t rushed at all. I also loved the setting, I felt like I really was there at the camp and I actually feel a little bit sad we don’t have camps like that in the Netherlands. The story is a bit predictable, but it is really enjoyable and I wanted to keep reading. The story is perfectly paced and while I thought it would be only a short introduction to the main story, it felt like the story really started here. The pace isn’t rushed and I really enjoyed the story. Lauren is a nice character who loves stargazing and everything else about the stars and planets. I really liked her. Seth is really adorable and he and lauren are so cute together. This book realy made me remember my early teenage years when everything was about love and everything felt so awkward. The authors really managed to capture this feeling really well and bring the book alive with great characters. While we don’t get to know much about most other characters, there is enough to realize how good friends they are. I really enjoyed the camp setting and the details and the activities they did. It felt really realistic and I think it’s a great setting for a book. To conclude: a really enjoyable short story. I loved the setting and I felt like I was there at camp with all the characters. Lauren is a great main character. This is a really cute story and it describes the feeling of those akward teenage years and first love. I can’t wait to read the next book and see where the story goes. Looks awesome, right? Well go enter the rafflecopter for a chance to win this! I really want to read this one. Awesome reviews!!! Thanks Michelle! 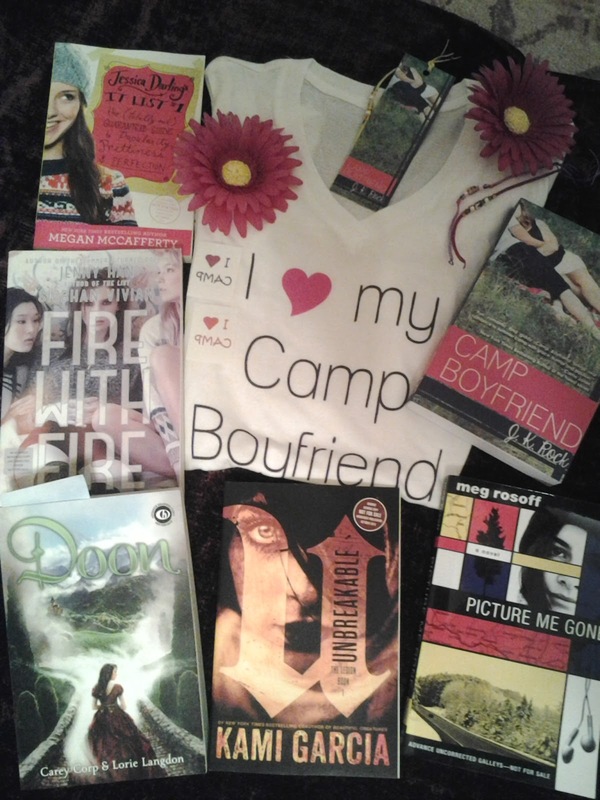 I hope you will read Camp Boyfriend, it’s an amazing book! aww thanks so much for the compliment! 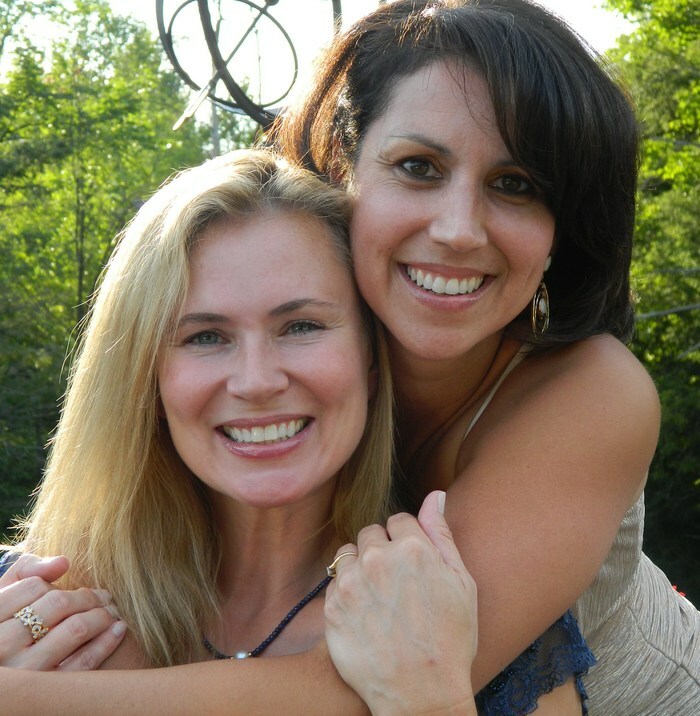 I am so glad I could be part of this blog tour. And I can’t wait to read the rest of the Camp Boyfriend series! I’m SUPER excited for this book! Great review!